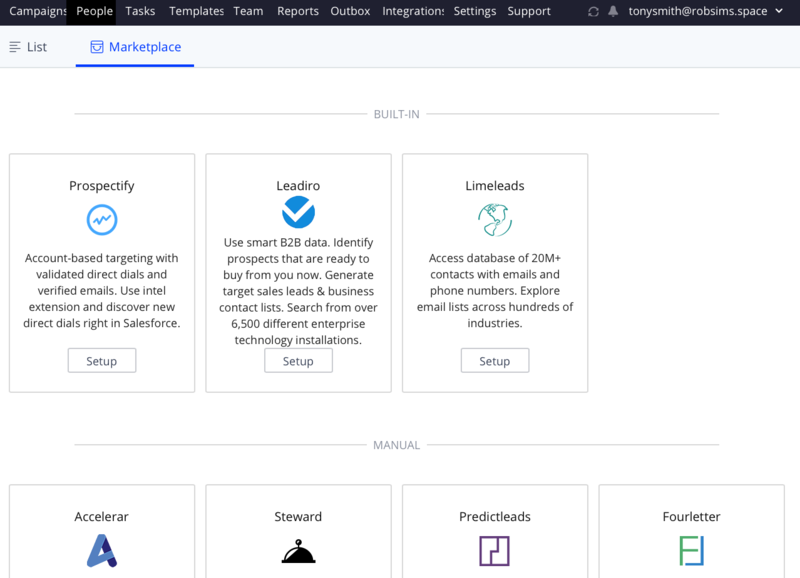 The Marketplace tab of the People page provides you with a list of partners and products to find quality prospects for your campaigns. This section contains a list of partners that have a native integration with Reply via the API. To use such integration you had to be logged into partner application and push contacts from there into Reply. This section contains a list of partners who research and create targeted contact lists using a combination of manual work and automated tools. They provide data in the form of a .csv file suitable for importing into Reply. We recommend using these services as they provide the best data and sales intelligence available on the market. They also provide data in the form of a .csv file suitable for importing into Reply.